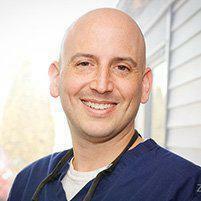 Dr. Matthew Spatzner is a top-ranked cosmetic dentist in Montville, NJ, with significant expertise in the most advanced techniques and materials to help patients look and feel their best. Montville Dental Associates focuses on patient-centered, customized care for superior results and greater patient satisfaction. Cosmetic dentistry includes all the treatments and procedures that help patients of all ages enjoy more attractive, healthier-looking teeth and smiles. Studies have shown having an attractive smile results in greater self-confidence as well as an improved perception by other people. Cosmetic dentistry techniques make it easy for patients to get the beautiful smiles they want. What kinds of treatments and procedures are included in cosmetic dentistry? A smile makeover is a carefully designed program of smile restoration that includes multiple treatments performed in a specific sequence over time, helping patients address an array of cosmetic issues. In a smile makeover, the dentist works closely with the patient to identify their goals and concerns, then devises a plan that’s just for their needs. Can cosmetic treatments help me enjoy better oral health? Yes, many cosmetic treatments also offer a preventive or restorative benefit as well. For instance, straightening teeth, covering damaged teeth or closing gaps between teeth can all reduce the risks of gum disease and tooth decay and make it easier to clean teeth and gums so they stay healthy. Tooth-colored fillings have been shown to bond more securely compared to traditional metal fillings, preventing decay from “seeping in” underneath or around the filling. Crowns can also be used to add strength to teeth with large areas of damage, preventing additional damage while also improving the look of your smile. Are cosmetic dentistry treatments covered by insurance? Procedures that are strictly cosmetic like whitening generally are not covered by insurance, but procedures that offer a preventive or restorative benefit may be covered in part. Our staff can help determine the level of coverage that’s available as well as identify financing options to make the cost of care affordable.